Ringaskiddy is a quaint village in County Cork, Ireland. Packed with many attractions, this is a good weekend getaway to enjoy some quality time with dear ones. Not to miss is the Martello Tower situated on the hilltop at Ringaskiddy. 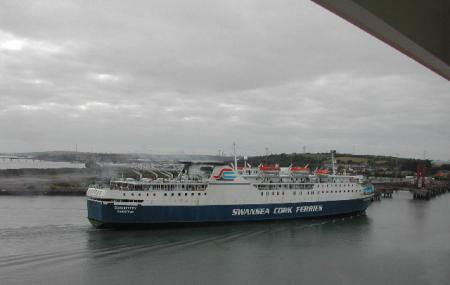 Once you reach at the tower, you will be greeted by panoramic views of the Cork Harbour. Also visit the other forts and towers located in the neighbourhood. The village is an important center of transport and industrial activity. It is also close to a numerous other tourist areas like Crosshaven, Currabinny, and Monkstown. Plan a trip to Ringaskiddy to have a fun weekend with friends and family. Create a flawless plan, make use of Blarney trip planner. Oomph up your visit by adding the best hotels in Blarney like Killarney Guest House, Jurys Inn Cork, Oriel House Hotel and Redclyffe Guesthouse. Curated Blarney vacation packages await! Book the best ones and start turning your dream into reality.Discover various ways for how to reach Blarney and complete the booking by choosing your mode of transport. Bus 223 to stop - Ringaskiddy (Village Centre Eastbound). Love this? Explore the entire list of places to visit in Blarney before you plan your trip. Fancy a good night's sleep after a tiring day? Check out where to stay in Blarney and book an accommodation of your choice.